Since it is Veteran’s Day, I’ve decided to write a little bit about my dad. I haven’t seen my dad in many years. He lives in the Philippines with his wife, where they are close to her family. When I was growing up, I was a daddy’s girl. My dad is an easy-going, laid-back kind of parent. I don’t think I could ever do anything which would disappoint him. Sometimes I wished he’d give me more of an opinion about something because he would always say that if it made me happy, it made him happy. My dad always called me his baby girl or his princess. He made up elaborate nick names for me and my three brothers and my sister, which he would use whenever he got the chance. For example, he would use it over the phone whenever someone would call us. He would say something like, “You’re calling Princess Camie, Keeper of the Unicorns? Let me see if her majesty will talk to you.” That was usually amusing, but a little embarrassing if a boy called me. There might have been more between Princess Camie and Keeper of the Unicorns, but that’s all I remember. And then he would make up enchanting stories about kingdoms and magical creatures, and we became the knights and princesses. I loved his made up stories. I miss my dad. I don’t hear from him very often because of the poor internet service there and the huge time difference. But I am glad he is happy with his wife and other family. Last Thanksgiving. These are my four babies. Speaking of the holidays, I’ve started to plan this year’s Thanksgiving. I was going to invite my mother-in-law here, but it turns out two of her sons and their families have decided to spend Thanksgiving at her house. That will be really nice for her. We won’t join them, however, as my oldest daughter works for Kohl’s and will have to cover a Black Friday shift. That means we need to stay close to home so she can join in the festivities. 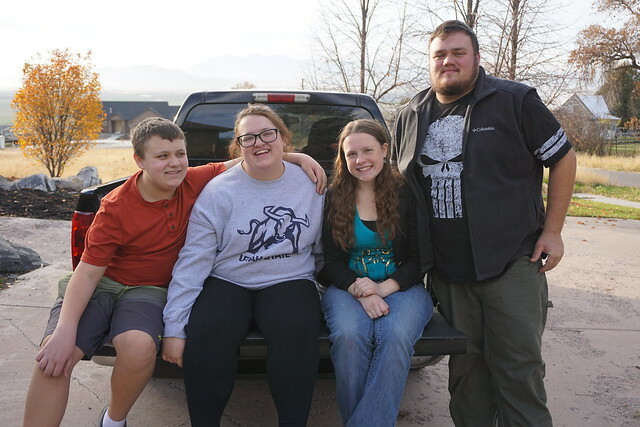 Besides, I want our family to be together for our last Thanksgiving and Christmas in this house and before my youngest daughter leaves on her mission in January. Then I thought of my mother and her husband. My maternal grandparents passed away a few years ago, and my side of the family has a Thanksgiving dinner together before Thanksgiving so that everyone can go to their “other” family on Thanksgiving. I found out my mother and her husband had no plans for Thanksgiving Day itself and that they had spent it on their own last year. They jumped at my invite to spend Thanksgiving with us. They’re even planning to spend the night in our guest room. When I was growing up, we spent half our Thanksgivings at my grandparent’s home (my mother’s parents) and half at my grandma’s house (my father’s mother). I loved my grandma’s house the best because she had the tradition of making each grandchild their own miniature pumpkin pie. I love pumpkin pie! Plus, holidays at her house were chaotic and laid-back, whereas at my grandparent’s they were subdued and controlled. I have one very sad memory of a Thanksgiving morning where I woke up to the next door neighbor phoning us to let us know that my cat had hung itself over our shared fence. I know how that sounds! My mother, never an animal lover, admitted to tying my cat up to our family dog the night before and I guess in the middle of the night the cat tried to escape. I cried all that day and the only explanation I ever got for what happened was that the two animals needed to learn how to get along. My father helped me bury my cat under a tree in our backyard. We have spent Thanksgivings in Canada and Peru. Canada was fun because we celebrated Thanksgiving twice; first for Canadian Thanksgiving in October and second for American Thanksgiving in November. In Peru, we celebrated with all of the other Americans. ♥ Our family traditions for this holiday include a waffle breakfast, watching the Macy’s Thanksgiving Day parade, football, and a Velveeta salsa dip with chips. Our dinner is usually around 4pm and is always turkey, stuffing, mashed potatoes and gravy, corn, green bean casserole, rolls and a variety of pies for dessert. Then we end the day watching a Christmas movie or two. It’s been a while since I have shared a 52 Story here on my blog and with the start of new month, I thought I’d post a 52 story once a day. Today will be one of my holiday memories, since yesterday was Halloween. 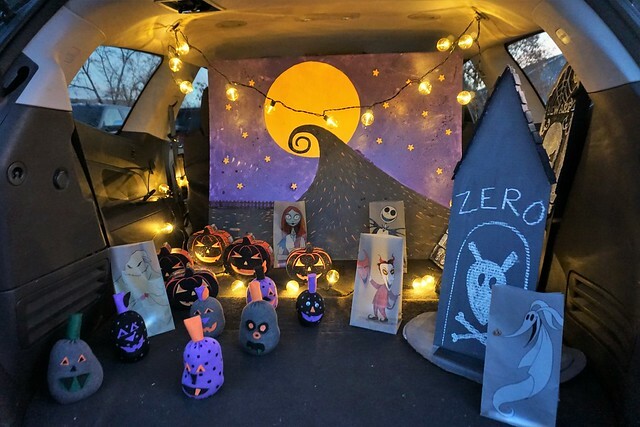 Our Nightmare Before Christmas trunk-or-treat scene. We painted the backdrop. Last night, my two sons and I participated in our ward’s trunk or treat (a ward is my church congregation and a trunk-or-treat is a version of trick-or-treating in a parking lot instead of a neighborhood). To our dismay, we were only one of two families who decorated their trunks, out of the twenty or so who participated. Decorated trunks are the best part! We even played the soundtrack to Nightmare Before Christmas, and some of the children told me this is a movie they love. Me too! 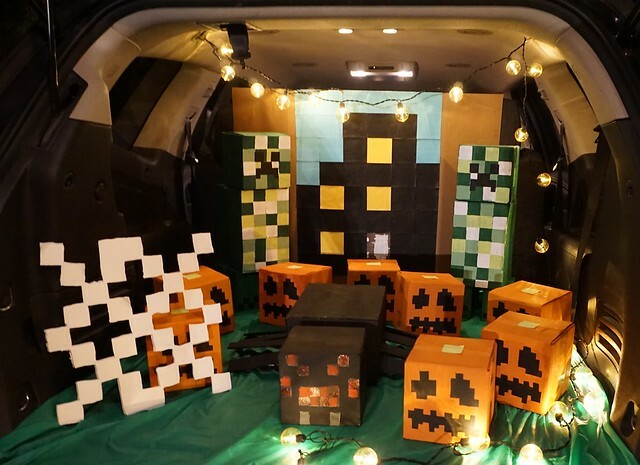 Last year’s Minecraft trunk-or-treat scene, which took us a week to create. While I do miss having little ones in my home during the holidays, I have a lot of fun with my adult children and teenage son. One of my favorite family activities is decorating together. I love to decorate my home for holidays and seasons. And, when I decorate, I go “all out” as they say. For me, there is no such thing as too much decorating, just like there is no such things as too many books! It’s just the way I roll. I have the same mindset when I clean my house for planned company. I end up cleaning out my fridge and pantry, bathrooms are spotless, every nook and cranny dusted. 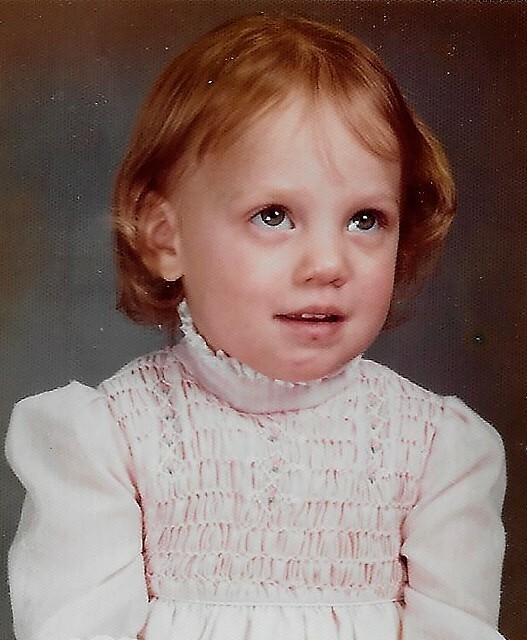 When I was a young girl, my favorite Halloweens were the years I got to visit my Aunt Coleen’s home in the little mining town of Copperton, Utah. I adored my aunt’s charming brick house and every Halloween she would host a family party where she cooked up chili or something like that. My cousins and my brothers and I would trick-or-treat together in a big group. We loved trick-or-treating in my aunt’s neighborhood as we would often get full size candy bars. I remember one year a neighbor of hers refused to give us candy because we weren’t local children. We tried to explain who we were, certain she knew our aunt, but it made no difference. I also remember, there was a back room in my aunt’s house where scary movies played all night long. I would avoid that room like the plague. I have never enjoyed watching scary movies. I am a romance-comedy girl. I love Hallmark movies, especially at this time of year when all they play is Christmas romance. 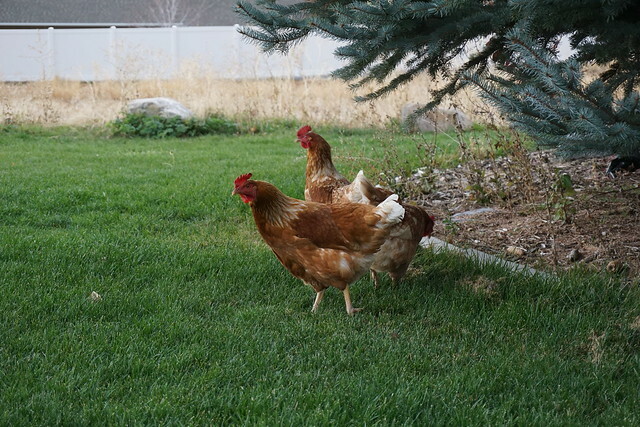 This picture has nothing to do with this post, but this is the first time we’ve seen roaming chickens in our backyard. They must belong to one of our neighbors. 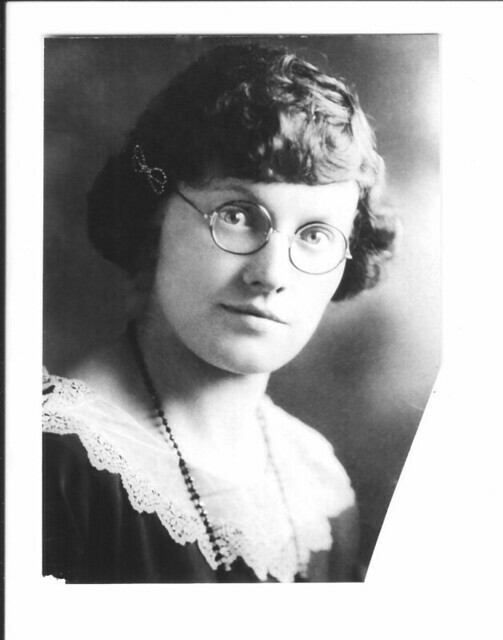 I was blessed to know my Great Grandma Nellie for all of my childhood. She even met my firstborn before she passed away at the age of 97. I remember going to her house when I was a little girl. She had a laundry shoot and my brothers and I would toss our toys down it and then go to the basement to collect them from the hamper. She would have homemade oatmeal raisin cookies in her cookie jar and this wonderful collection of old fashion toys like Tinker toys and tiny plastic ballerina figures which I loved to line up in a row on her piano top. 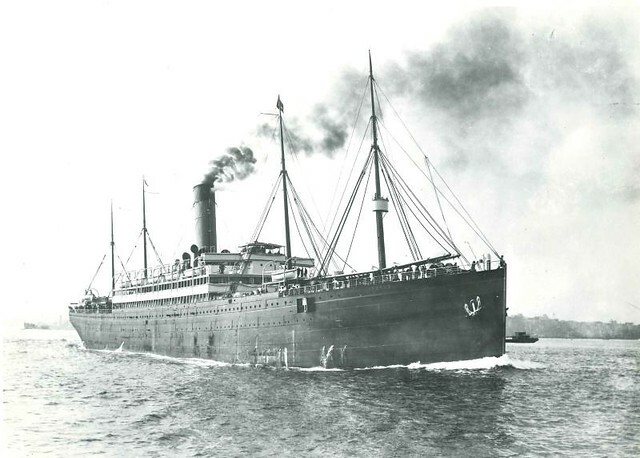 This is the RMS Republic, which my grandma and her sister sailed from England to America. Photo credit goes to my Uncle Quin. The other day I pulled out my baby book and rediscovered a letter from my Grandma Nellie, which she wrote to me the summer after I graduated high school. I was living in Colorado, on my own for the first time. She was sweet to think of me and send me mail. Nellie’s cursive tells a special story to add to my 52 Stories. 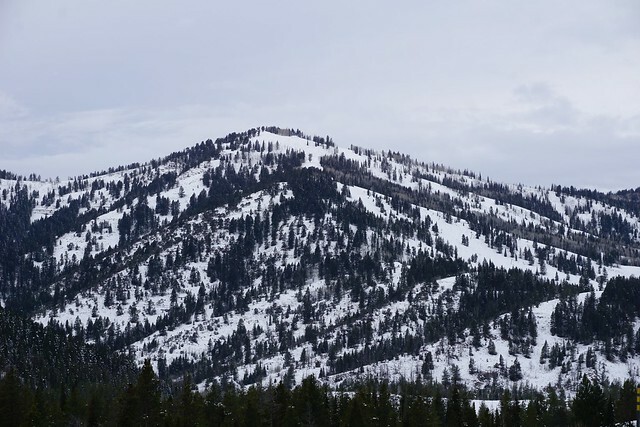 She starts out by explaining that it was the 24th of July, which is a pioneer holiday in the state of Utah, celebrated much like the 4th of July with parades and fireworks. This was taken from this year’s Days of ’47 parade. 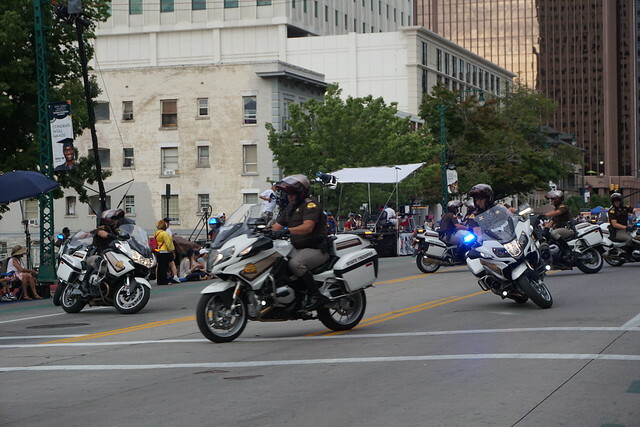 She was impressed by the police officers on their motorcycles at the start of the parade she saw that year. This tradition continues today. They make figure eights, obviously well practiced and timed. Then I did. As I left the stand by the flag pole I was greeted by Ila Webster and Vea Gean Hamiton, wives of American Legion men, and others and the men came forward with handshakes. The queen and her attendants embraced me. I was glad they had all enjoyed my talk. I timed it as I practiced at home. Just 3 minutes. As we were having dinner, or was it breakfast here, a lady who was over the play to be given at night, came and asked me if I would give Lincoln’s Gettysburg address again at 9:00pm that night before the play. My great grandma taught me to love this beautiful country I call my home. She cherished her life here in America and I am so glad I knew her here on earth. I’m sure she’s watching over me and my children. She really was a lovely grandmother and someday I’ll be reunited with her.